Official StarCraft II custom games now live on Battle.net! Aiur Chef, StarJeweled, and Left 2 Die, three new Blizzard-made custom games for StarCraft II, are now available<http://us.battle.net/sc2/en/blog/2058906#blog> for beta testing on Battle.net. While these custom games are still under development and we don’t yet have a release date to share, we wanted to give everyone the opportunity to test them out and give feedback before they’re officially released. Simply log into StarCraft II, and navigate to the custom game area to find these new custom games. To help get you started, here’s a quick summary of each custom game as well as some basic instructions on how to play. Inspired by a popular television cooking show in the United States and Japan, Aiur Chef is a light-hearted free-for-all game. As in the TV show, each round of Aiur Chef features a theme ingredient and three succulent recipes that play upon its unique flavor. Before you can master these themed dishes, though, you’ll first need to scout across the map and collect a variety of tasty ingredients (including the theme ingredient). Each recipe has its own set of required ingredients, listed in the recipe menu in the upper-left of your screen, which can be picked up off the ground or acquired by killing specific creatures. Don’t get too greedy when loading up on ingredients, though — inventory space is limited, so you’ll want to focus on collecting ingredients for one recipe at a time. Once you’ve collected the proper ingredients, you’ll need to return to the kitchen in the center of the map and use the Beacon to prepare your dish. Each dish created using the theme ingredient will award you points based on the complexity of the recipe. Some dishes even award special one-time use abilities like Hearthstove, which allows you to quickly port back to the Beacon, and Decoy, which places a fake theme ingredient on the ground for other players to scavenge. Take advantage of these abilities whenever possible, as they could provide the competitive edge you need to outcook your opponents. The player with the most points at the end of three rounds will be named Executor Chef, culinary guru of the entire Koprulu Sector. With such a prestigious title on the line, expect some fierce competition… and get those psi blades ready! match-3 puzzle game. The game focuses on matching groups of jewels according to color and strategically selecting StarCraft II units to overcome an opponent’s forces and destroy their base. StarJeweled can be played several ways, including cooperatively against the A.I. or competitively against other players. Each successfully matched jewel combination provides a burst of energy; the larger the jewel combo, the bigger the energy burst. This energy can be spent to train a variety of StarCraft II units, including zealots, banshees, and ultralisks, which will help you eliminate your opponent’s defenses. You can also use energy to cast spells that heal friendly targets and do damage to enemy units. To activate a unit or spell once you’ve gained enough energy, simply click on the corresponding icon located beneath the jewel board. Since the goal of StarJeweled is to destroy your opponent’s base while protecting your own, you’ll want to choose which units you purchase carefully. StarJeweled is not just about matching as many jewels as possible, but also managing your energy efficiently and understanding how the units in the game counter each other. If you’re unfamiliar with all the units’ strengths and weaknesses, each unit’s tooltip (which you’ll see by hovering over its icon) includes a list of what it’s strong against and what it’s weak against. Use this knowledge to use your advantage, and pay attention to what units your opponent is building. A game of StarJeweled consists of five rounds. Each round will continue until one player’s or team’s base is destroyed. Take out your opponent’s base in three out of the five rounds and you win! While the struggle to survive in Left 2 Die can be daunting, you and your teammate will have some help along the way. You can earn zerg Biomass by killing special zerg units and destroying infested buildings, and then use the collected Biomass at the Science Facility in your base to research new units and structures like medics, firebats, and perdition turrets. Both you and your teammate will receive these upgrades, which will aid you in your struggle against the zerg strain. In order to achieve victory in Left 2 Die, you’ll need to eradicate all traces of the zerg virus. Work together to survive at night, assault and rebuild during the day, and use Biomass wisely for epic upgrades to win! mode in which infested structures are invulnerable and daybreak never comes. You’ll have to fend off wave after wave of the infested, with each wave becoming increasingly more powerful. While defeat is inevitable, the challenge comes in seeing how long you can endure in the dark. To play the beta versions of Aiur Chef, StarJeweled, or Left 2 Die, simply go to the Multiplayer tab in StarCraft II and look for the custom games window. A few of these games have more than one difficulty setting, so select the level of challenge that’s best for you. We hope you enjoy them, and we’re looking forward to hearing what you think. Magic: The Gathering – Tactics™, a free-to-play online tactical strategy game from Sony Online Entertainment LLC (SOE), in collaboration with Wizards of the Coast LLC, is now available for download on the PC at www.MagicTheGatheringTactics.com. Magic: The Gathering – Tactics puts players worldwide in the role of a Planeswalker, a powerful mage commanding devastating spells and iconic creatures from all five colors of Magic™ in intense online tactical battles set across richly illustrated 3D environments. Developed and published by SOE, creators of the critically acclaimed EverQuest® and recently launched DC Universe™ Online, Magic: The Gathering – Tactics re-imagines the world-renowned trading card game as never before. From implementing the righteous powers of White mana and painting with the illusions of Blue, to embracing the amorality behind Black, the fury of Red or the natural force of Green – Tactics players will tap a universe of power to defeat both AI and online opponents. Gamers can compete online against other players from around the globe in head-to-head battles or in competitive tournaments, or face the challenging chapters of the game’s story-driven single-player campaign. Players can level up their own unique Planeswalker avatar as they build powerful spellbooks with in-game booster packs available for purchase. In addition, Tactics players can progress through color-based talent trees, purchase additional campaign chapters or enter massive online tournaments with top-tier spells and unique prizes at stake. A New Experience: Characters, creatures, spells and settings from the rich world of Magic, fully realized in 3D. Unleashing the Power: As a powerful Planeswalker, players cast devastating spells such as Fireball, Doom Blade, Pacifism and Lightning Bolt, and control incredible creatures like Serra Angel, Lord of the Pit, Colossus of Sardia or Reya Dawnbringer. Tournament Battles: Connect and combat online against legions of gamers worldwide for intense battles of complex strategy in both casual and tournament formats. Free Access to the World of Magic: Begin your journey as a Planeswalker in Magic: The Gathering – Tactics and start battling right away for free. Magic: The Gathering – Tactics is rated T for Teen, with content descriptors for Mild Blood and Fantasy Violence. Rude Gameware, a gaming company that will go to almost any length to give gamers an advantage announced it has improved on it’s already near perfect gaming mouse, the Fierce Laser Gaming Mouse. Injecting it with proprietary, performance-enhancing components that lawyers have advised to never admit to in writing, Rude Gameware has improved the abilities of their laser gaming mouse by over 60%! The Fierce Laser Mouse V2 now sports an overpowered 5000 DPI laser engine with lighting response time of only 1 millisecond – enough power and speed to shatter gaming records! 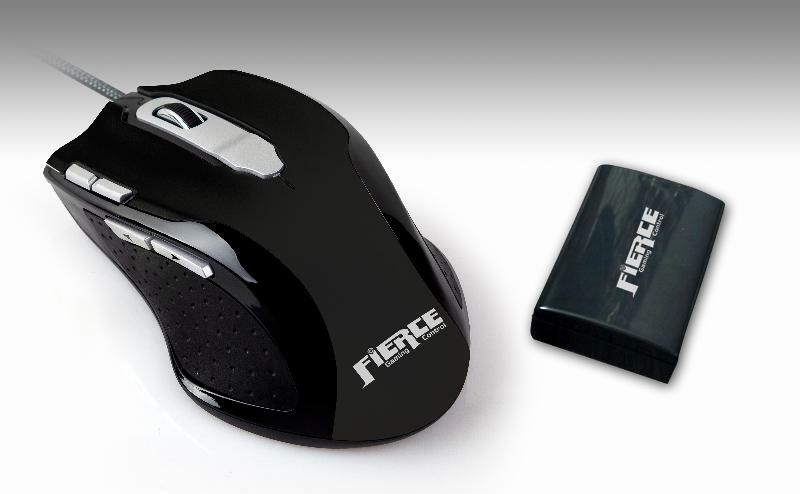 The Fierce Laser Gaming Mouse V2 includes all the stuff gamers want in a mouse without any extra complications, but still carries a tiny suggested retail price of only $49.95. Plus, we assure you it’s fully legal. It’s almost here… Magic: The Gathering – Tactics is set for release on January 18th! In preparation for launch, Sony Online Entertainment is winding up some of the game’s most intimidating artifacts, showing fans the highly adaptable colorless artifact creatures and spells appearing in the upcoming online animated grid-based tactics PC title. In a universe defined by the unending war between the five colors of mana, artifacts remain neutral, colorless-waiting to be controlled. Artifacts are the magical relics, clockwork artifacts and enchanted equipment that can be wielded by any Planeswalker, regardless of color. Unbeatable classics like the Icy Manipulator and Rod of Ruin join the Clockwork Beast and the gargantuan golem Colossus of Sardia as just some of the potent artifacts a Planeswalker can activate to turn the tide of battle. feel free to visit the official Magic: The Gathering – Tactics website and Facebook Page. 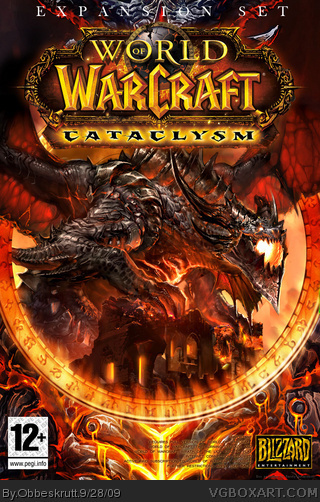 World of Warcraft: Cataclysm was simultaneously released in the United States, Canada, Mexico, Argentina, Chile, Europe, Russia, Southeast Asia, Australia, and New Zealand on December 7, and became available in Korea and the regions of Taiwan, Hong Kong, and Macau on December 9. With day-one sales topping 3.3 million copies,* World of Warcraft: Cataclysm became the fastest-selling PC game of all time, shattering the previous record, which was held by the second World of Warcraft expansion, Wrath of the Lich King®. To keep pace with the continued growth of World of Warcraft as well as development on other Blizzard Entertainment® games, the company is currently hiring for numerous open positions. More information on career opportunities available at Blizzard Entertainment can be found at http://www.blizzard.com/jobs. 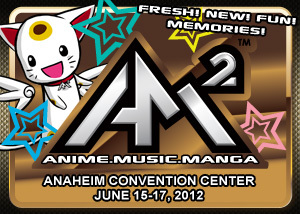 Get ready…. the launch of Magic: The Gathering – Tactics is right around the corner! In preparation, Sony Online Entertainment is delivering the destructive Black Mana, bringing fans the corrupt creatures and deceiving spells appearing in the upcoming online animated grid-based tactics PC title due out this winter. Furthermore, Magic: The Gathering – Tactics is now in BETA. To access our Beta program, please send along your SOE Station ID and email address so we may flag your account for premium content. For more assets and information about the game, feel free to visit the official Magic: The Gathering Tactics website and Facebook Page.